A while ago I noticed that this T-Shirt had become available and I just knew I had to have one (for reasons that I expect are immediately obvious). Unfortunately they wouldn’t ship outside of the USA so it was impossible to order one myself. So, 6 months later, he remembered that he still hadn’t sent the package, or rather, according to him, his girlfriend reminded him which in turn led to him sending the package over. Unfortunately, I seem to have forgotten to provide him with my IRL name which led to the hilarious event of giving them my alias (as they wouldn’t ship without a name) and telling them that I was some kind of radio personality. This in turn meant that the package came here without a proper name (The package had no name on it, not even my “radio” alias), and the nice German delivery person, not knowing how to deal with this, dumped the package on top of the mailboxes. It was only by sheer luck that my eyes passed over the package and the name of the sender clicked in my head and made me realize this is for me. 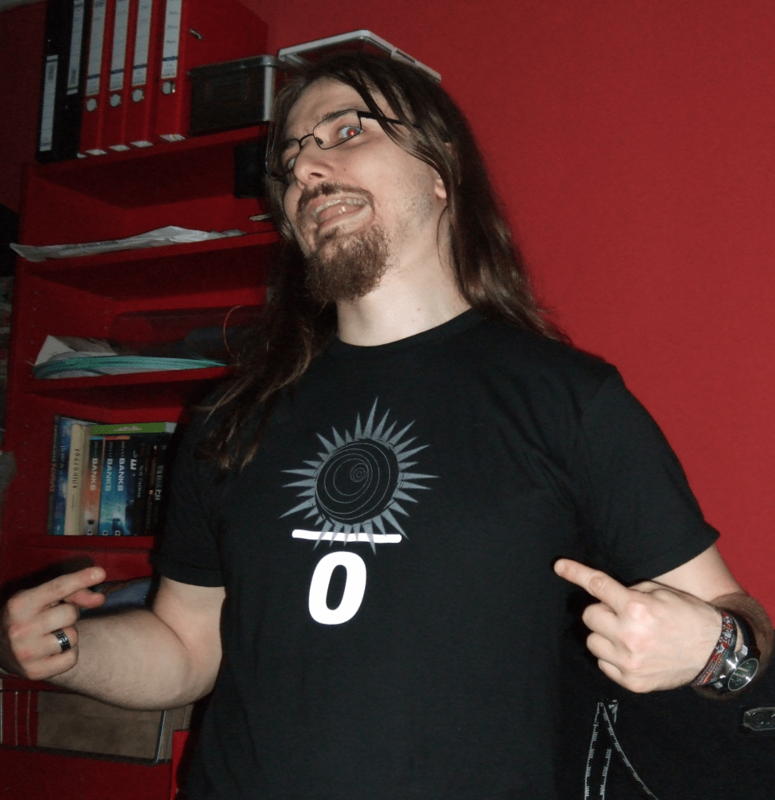 But in the end, things turned out alright, and finally I have the most fitting T-Shirt evar. W00t! « Yes, male feminists do exist. Man that Joseph is a character!